Outside Japan, Sushi is regarded as fancy due to it being more expensive than other food. 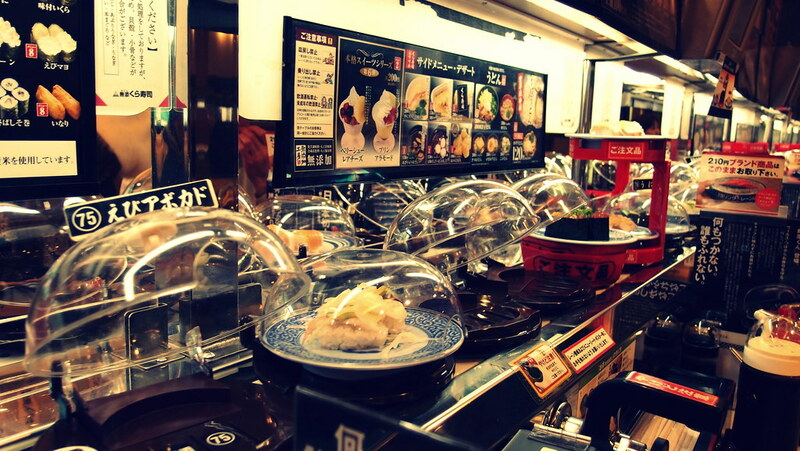 There is no doubt that there are many sushi restaurants in Japan that are very fancy and expensive as well, however, you can also find many that are so cheap and quick to serve that they could be categorized as “healthy fast food” making sushi look less fancy but still very clean and desirable. A college student with no income or simply anyone wanting to save money has endless options to be satisfied in Japan. One of those restaurants is Kura-Zushi. It has countless branches throughout Japan. The cost is only 100\ per plate of sushi (108\ with tax). 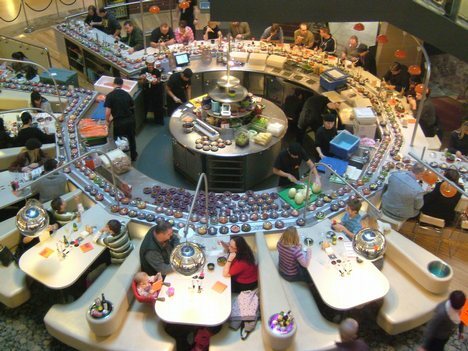 The restaurant contains a Kaiten Zushi (回転寿司) literally meaning “rotation sushi” but most commonly referred to as conveyor belt sushi. 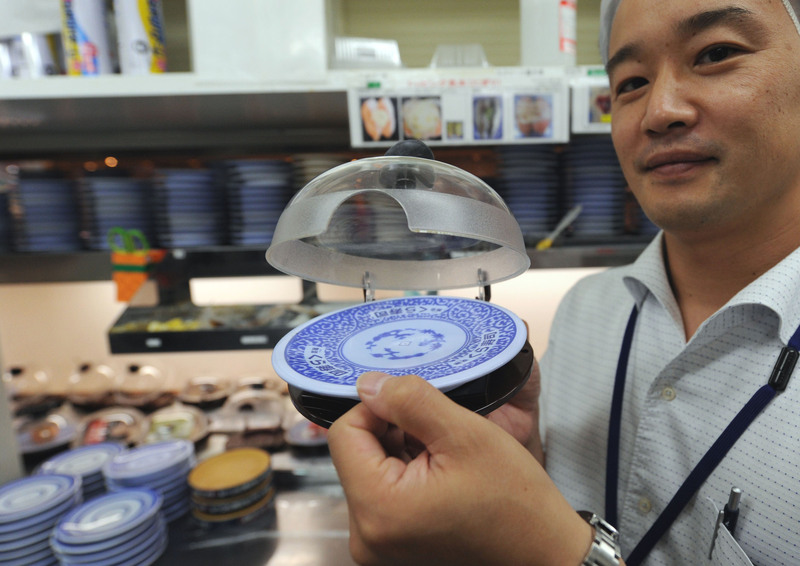 This Kaiten Zushi of Kura-Zushi, however, unlike the classic or common ones, operates differently. The usual ones usually require constant customer service and high maintenance at all times. On the other hand, Kura-Zushi’s mechanism is very unique. It has an automated machine on each table that makes an order through a mini touch screen that directly sends a message of the order to the kitchen making the cooks prepare the dish quickly sending it directly to the table. The restaurant doesn’t have a lot of waiters/waitresses due to the presence of these machines on the tables. Despite having more than thirty tables, there is around five waiters/waitresses working at the spot, one calling the customers at the waiting list, two cleaning the tables, one receiving handing in special orders and one welcoming the customers to their tables. With that number of tables, there should be a lot more waiters/waitresses. However, the big number is in the kitchen and it is the cooks who have to be as quick as possible to prepare the dishes. The table system also has a little space to throw in the sushi that finished so that they can be added up to the bill saving the time for the waiters to count them. In conclusion, modern technology in Japan has allowed some restaurants to increase their technology by reducing population density in the public area of the restaurant but increases it in the kitchen for quick service. Japan never fails to satisfy its citizens by finding ways to provide cheap and easy access to what may commonly be considered fancy and expensive through its advancement in most fields. Have you ever tried University Cafeterias in Japan?